As of Monday, video steaming service Netflix is available in France as the company seeks to expand its presence in Europe beyond the UK and Ireland. Later this month the service will also launch in Germany, Austria, Switzerland, Belgium and Luxembourg. Third French placed operator Bouygues has said it will start offering access to Netlfix via its set top box from November. However Orange has already introduced a rival service and said it would not support Netflix. Local pay TV operator Canal Plus has also introduced a video streaming service in a bid to stall Netflix’s entry into the market. 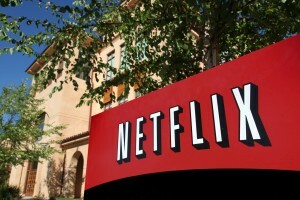 Netflix said its subscriptions would start around €7.99 and be available across tablets, smartphones and game consoles. The company is producing an original series in France, called “Marseille”, a political thriller set in the southern port city, to try and boost local interest. It could be there is an opportunity for local service providers to get in on the action too. In the US, it has been revealed that Netflix is paying carriers to ensure delivery of its services to customers, flying in the face of net neutrality arguments.